I grew up watching my dad building projects and doing a lot of remodeling on our home. He’s a master at using power tools and has built some fantastic-looking pieces. But I never recall seeing him use a hand plane all that much. He learned how to tweak joinery and thickness a workpiece using sanders, jointers, and planers. And if he needed to nibble the end of a workpiece for a tight fit, he’d do it at the table saw. I remember dad having an old hand plane in his basement workshop. One day after school, I picked it up and tried to use it. After a few swipes and not getting any results, I gave up. Fast-forward about 15 years. He showed up one Christmas with a paper bag. “Here. I found these in my shop. You can have them.” Inside was a No. 4½ Stanley smoother and a No. 78 duplex rabbeting plane. I did a lot of research on the internet to figure out how to restore, tune, and sharpen these old planes. I remember the day like it was yesterday. I took those first few swipes on a piece of scrap wood and discovered the magic. I was able to get thin, whispy shavings. That day changed my woodworking forever. I learned how to use a hand plane to remove machining marks left by a jointer or planer. I learned how to tweak the fit of a joint using a hand plane. I was bitten by the bug. Next thing you know, I was shopping on eBay for old planes. Have I given up on power tools? No way. I use the right tool for the job. And sometimes, a hand plane is the right tool. 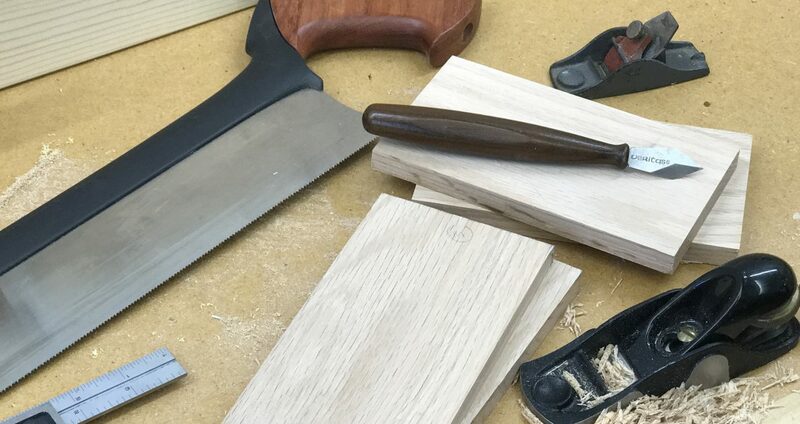 Rob Porcaro wrote a blog post over on Fine Woodworking’s web site about his philosophy of using hand tools. I agree with everything he says. Posted on March 24, 2010 by Randy MaxeyPosted in WoodworkingTagged craftsmanship, Hand Planes, Tools, Woodworking. Next Next post: Time to resharpen or buy a new blade?